Julian Assange earned a place in the record books yesterday, by becoming the first alleged sexual predator in history to ­secure a 25-minute slot to explain himself on the BBC’s Today programme. It was a remarkable and revealing performance. ‘Women have been extremely helpful and generous to me,’ he said. ‘That’s what I am used to.’ He is resisting extradition to Sweden to face questioning about two alleged sexual assaults because there is ‘no natural justice’ there; rather than being a ­civilised country as John Humphrys suggested, it is ‘more of a banana republic’. 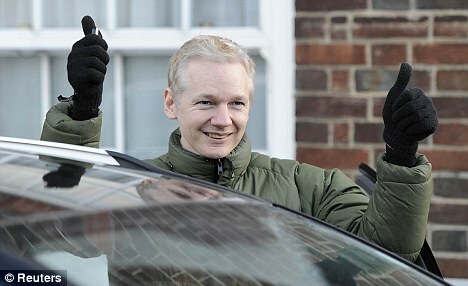 It was extraordinary stuff, and Humphrys interrogated Assange superbly. He laid bare the perceived megalomania of this 39-year-old Australian with the white hair, narrowed eyes and mean little mouth who is conducting a war on two fronts which divides opinion around the world. For Assange, of course, is not merely accused of sexual assault in Sweden. He has also roused the wrath of the United States as mastermind of WikiLeaks, which has revealed to all-comers a vast cache of American ­military and diplomatic traffic, with the promise of more to come. To his defenders, he is a hero of free speech, and now also the victim of a Swedish sexual frame-up, probably instigated by the CIA. To his critics and enemies, he is a major threat to the processes of ­government; an anarchist with almost demented delusions of grandeur. The sexual allegations, he said, are ‘quite helpful to my organisation’ because ‘people will start to realise what is really going on…a tremendous abuse of power’. Humphrys noted the marvellous hypocrisy, that the master leaker denounced the Swedish authorities who, Assange claimed, had ‘illegally leaked material to newspapers’ about the allegations against him. What do we conclude from it all? It is impossible to take a view about whether the sexual allegations against him are true. What we do know is that if they were made against any ordinary citizen, public and media opinion would insist that the accused must answer the charges. It seems wildly implausible that liberal Sweden should have colluded with the Americans to frame Assange. At the very least, by his own account of his personal life and the facts known about his childhood and youth in Australia, where he fathered a child at 18, he is a turbulent character with a notably arrogant attitude to women, prompted by his many successes with them. His conceit has been supercharged by the fame or notoriety achieved by WikiLeaks, which appears to have ­convinced him that he may be above normal standards of conduct, responsibility or accountability. He is encouraged in this belief by a gaggle of celebrity ­groupies around the world, including the Left-wing Australian ­journalist John Pilger and ­Jemima Khan. It is impossible for the rest of us not to laugh heartily at the falling-out between Assange and The Guardian, which he used as one of his principal conduits for publishing Wiki­Leaks material. The newspaper is now in his doghouse for ­biting the hand that fed it — revealing explicit details of the sexual allegations made against him in Sweden. Yet we should not laugh too long and loud, because Assange represents a phenomenon of which we shall hear much more in future. This screwed-up, bitter geek with a grudge against the institutions of the West has become a master of the anarchic universe created by the internet. Like others of his kind, he has discovered that without resources or mandate, it is ­possible to become a publisher of fantastic power, leapfrogging every traditional constraint imposed by the need for a ­geographical base, plant or corporate structure. Assange is a global gipsy, ­flitting from country to country in an endless rush of press conferences, web talk, ­adoring, impressionable women — yes, there are plenty of those — and a sense of his own might such as Darth Vader might have thought mildly excessive. He says ‘We are an organisation that promotes justice through the mechanism of trans­parency’, and he obviously believes this. If some of us demand ‘Who does he think he is?’ there are also people out there who answer that he is wonderful. I do not question the truth of his story that, while in jail before being bailed, a black prison guard pressed into his hand a card applauding his prisoner as one of his heroes. We live in a world in which many foolish people suppose that we should fare better if told absolutely everything about everyone. Western ­governments are denounced for a ‘culture of secrecy’. While of course it is true that many nations abuse official secrecy, I prefer to use the word ‘privacy’ to describe a vital ­element of human affairs. Politicians, diplomats and soldiers must be allowed to discuss ideas and form policies behind closed doors before announcing their decisions and conclusions. The Assange-Pilger-Khan view of life — that our societies will profit if every process of government is laid bare — is grotesque. They claim rights as arbiters of what should be disclosed which they are wholly unfit to exercise. WikiLeaks’ revelation of the U.S. government’s list of installations vital to its national interest — in effect, providing every terrorist and enemy of the West with a target crib — alone should have blown away its claims to represent the ­public interest. The good news is that Wiki­Leaks’ founder has grievously damaged his credibility by declining voluntarily to bow to Swedish justice, and by his insanely grandiose public pronouncements. Few reasonable people who have heard or read his ­published interviews this week will have much sympathy with him hereafter. Nonetheless, it behoves Western governments not to make too much of Assange as a foe; he is only a symbol of the vast problems created by the new electronic age. Whether or not this particular global nuisance is crushed or discredited, there will be plenty more like him, unless or until governments and institutions discover how to protect their computer systems from his kind. It is impossible to judge the merits or likely outcome of the legal proceedings against him in Sweden, but we should have sufficient faith in Swedish institutions to believe that Assange will receive justice. Most of us have heard enough to believe that he is a ­sleazeball, however the legal proceedings turn out; it is a mere accident that he is a ­sleazeball who is also causing grief to the governments of the West. 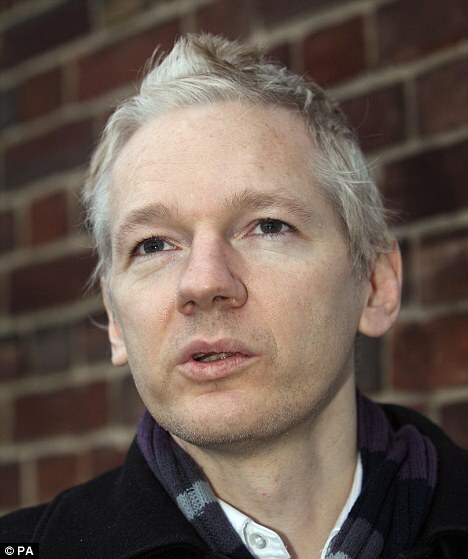 Even those who support WikiLeaks should abandon the pernicious delusion that he should be excused from answering charges of sexual misconduct which are wholly unrelated to his self-­proclaimed crusade for transparency.